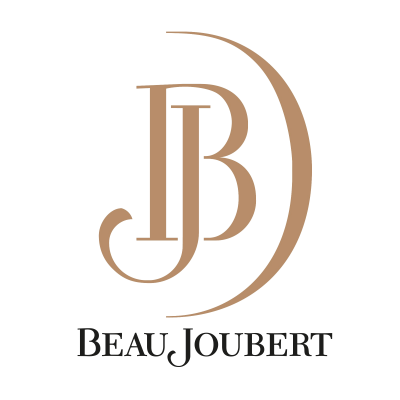 As most of you might already know, Beau Joubert has a lovely self catering guest cottage overlooking the vineyards and the breathtaking sea view of False Bay. The cottage offers the ideal holiday accommodation, or even if you just want to get away from the busy city life for a weekend in the Stellenbosch countryside. Our Vineyard Cottage is fully equipped with an open plan lounge and kitchenette, there are three bedrooms and three bathrooms, and the cottage can sleep 7 people. We have recently received a three star grading from the Tourism Grading Council, and we are busy making new changes to the cottage to up it to four stars next year! Be ready to get spoiled when you stay at the Vineyard Cottage. With beautiful white cotton linen in the bedrooms, crisp white toweling ready for use in the bathrooms, those charming little soap bars you get in hotels and complimentary coffee and tea and even a chilled bottle of wine in the fridge, you can surely just sit back, relax and enjoy the scenic surrounds. There is also a braai/barbeque area on the patio ideal for use during the hot summer evenings and we will even provide fire wood on request. We have DSTV, DVD player and 3G internet for your entertainment, an air cooling system (“aircon”) for those summer days you rather want to spend inside, and also heating for the cool spring and autumn evenings and cold winter nights. Your car can safely be parked in the under roof carport and we have a 24 hour surveillance company on duty to assure complete safety during your stay. A complete Vineyard Cottage Information booklet is available to recommend to you the different restaurants, shopping areas, medical centers, laundries and surrounding activities that we find fit and enjoyable. Children can play on the big front lawn, and if you are a nature lover you might enjoy a long hike up the hills and through our vineyards. There are many wild animals to view such as Fish Eagles, Egyptian Geese, Squirrels, speckled Mouse Birds, Mongoose and Steenbok, and we also recommend that you make a visit to the top hills of the farm to take a glimpse at the incredible view of Stellenbosch and the surrounding farmlands. The cottage is situated conveniently between Stellenbosch and the airport, about 10 minutes from each, making it a central hub from which you can travel with easy and it is situated only 35 minutes from Cape Town for you to enjoy all of the Cape’s glory. Online bookings can be made directly from our website or Facebook page, offering suitable date selection and secure payment options to guarantee your reservation. We really hope to hear from you next time you wish to visit Stellenbosch and surrounds. We take pride in our hospitality and would love for your to stay in our beautiful Cottage.